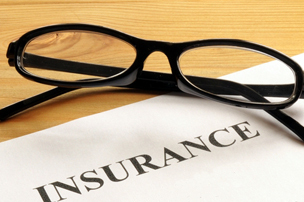 The use of medical versus vision insurance when visiting your eye doctor can be confusing. Insurance companies usually categorize visits as either “routine” or “medical”. This determination does not have anything to do with the type of doctor you see, ophthalmologist or optometrist, or the exam steps performed during your visit. Understanding your coverage before you come to the doctor can help eliminate confusion. Vision insurance, for example, Vision Service Plan (VSP), covers only ROUTINE well-eye exams (nearsightedness, farsightedness, and normal astigmatism). In addition to the exam, a refraction is performed to determine your eyeglass prescription. Your vision insurance may also offer assistance towards the purchase of glasses or contacts. Medical insurance is billed for eye related medical problems such as diabetes, strabismus, double vision, dry eyes, eye allergies and infections. Any preexisting or newly diagnosed medical condition requiring treatment, further testing or follow up takes precedence and will be treated first or concurrently with a vision issue. Since vision insurance does not cover any medical diagnosis, medical insurance companies must be billed first. The results of that claim are then submitted to vision insurance, so that portion of the visit can be processed. Patients and doctors receive directions from the insurance company of how payments are applied in documents called Explanation of Benefits. The exam provided by our doctors in a comprehensive exam to evaluate your eyes, not a “quickie department store” type exam. It cannot be determined ahead of time what type of diagnosis, and therefore insurance billing, will result from your visit. For example, a child may be seen because they failed their school vision exam (which screens for distance vision only), or referred by their pediatrician for vision screening results. It may be determined that the child has nearsightedness and can be treated with a simple glass prescription. This would be processed by your vision insurance. However, it may be determined that the child has a more complicated medical diagnosis, for example amblyopia, requiring patching and more frequent glass prescription changes. This type of exam will be processed by your medical insurance. Although our staff can provide some general guidelines, it is not the doctor or the staff’s responsibility to know the details of your individual plan. Your insurance company provides you with details on copays, deductibles, coinsurance, vision coverage, and more. The insurance contract is between you, your employer and the insurance company. We are here for you, contact us for all any questions you may have . Copyright © 2018 The Children’s Eye Doctors. All rights Reserved.